This large beach house is located just meters from Belongil Beach with your own private access down onto the Beach. This home is pavilion styled with timber walkways separating the pavilions. 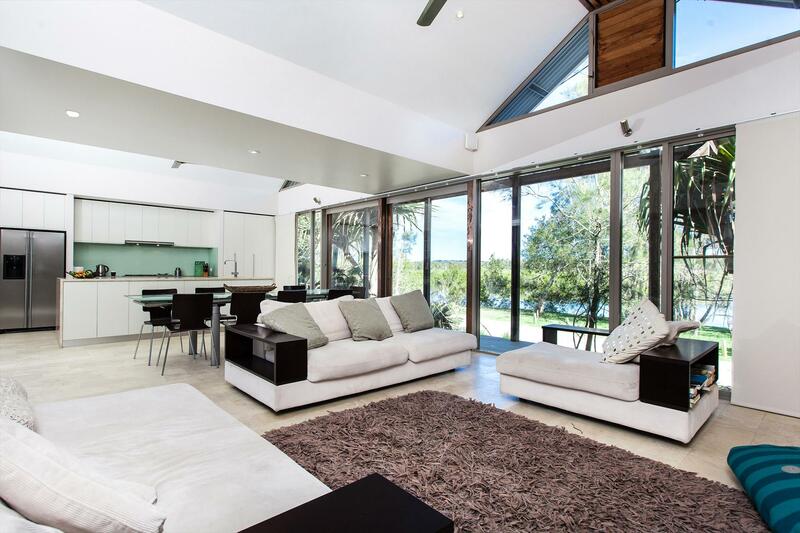 The kitchen, dining and living area are combined and styled with modern furnishings and views of the Belongil Creek just directly across the road. The deck with outdoor dining and bbq leads up to the first sleeping pavilion with two bedrooms and bathroom, further on the covered deck is the second sleeping pavilion with the queen bedrooms and another bathroom.